As well as concentrating on bringing a host of new services and products to consumers, Microsoft has been placing a lot of emphasis in improving what it already has. The lack of progress of Internet Explorer over the years has seen the likes of Mozilla Firefox and Google Chrome become the front runners – despite the fact that 90 per cent of computer users run Windows, and thus have Internet Explorer installed by default. Microsoft has really dug deep with all of its software ventures sans Windows 8, and IE9 is certainly to be taken a lot more seriously then the previous iterations before it. 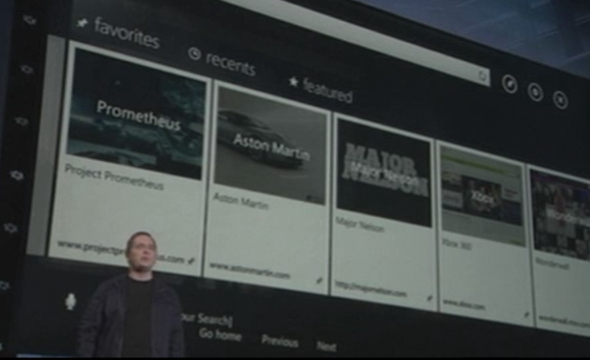 Just like pretty much everything else the Redmond-based company is doing right now, the new-look browser will begin to make its way to Xbox 360 later this year, it has been confirmed. Browsing began as something of a novelty on games consoles, but in this ever-evolving digital era, it’s of paramount importance to the software maker that IE is ported smoothly through to it’s market-leading console. 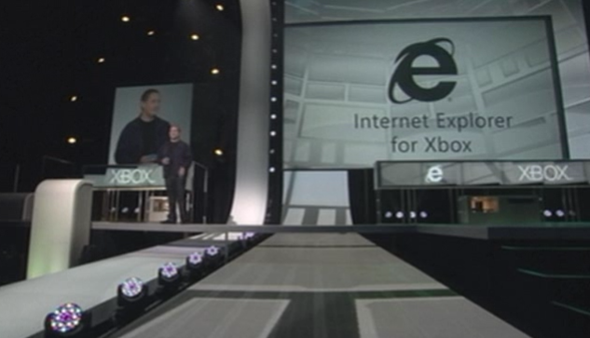 It has been on the cards for a while that Internet Explorer would make its way over to Xbox, but thanks to the E3 media event, the notion has been given the rubber stamp of authenticity. Details are brief at this point in time, but expect to see full integration with Windows-based devices as the eighth edition of the iconic desktop operating system trickles through emphatically to tablet and smartphone. 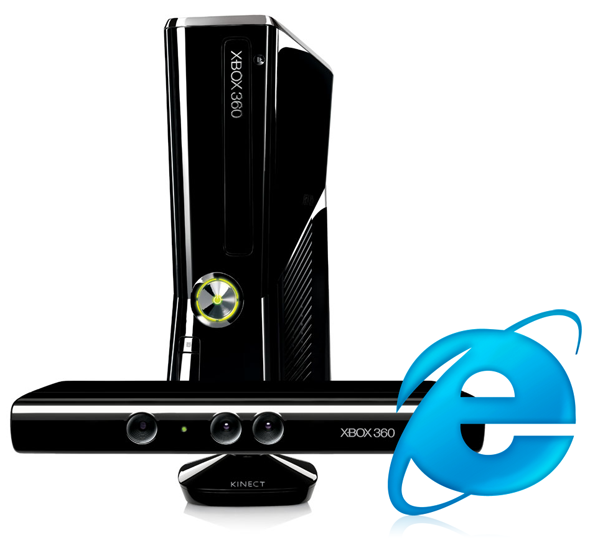 With Kinect becoming an even more integral part of the Xbox 360 experience, it will be very interesting to see how much depth of support Internet Explorer will get from the technology once it finally makes its Dashboard debut. Cannot personally see how there would be a great deal of use beyond voice and a gesture here and there, but having already been wowed by how much the likes of FIFA and Madden will be enhanced by Kinect, I certainly wouldn’t write anything off at this present moment. Whatever the case may be, I suspect the previously flawed services of IE will remain a distant memory, and with the Xbox being such a large portion of the software maker’s business, it can ill afford to fall short with the browsing experience.